Mon - Fri 8:00 a.m. 5:00 p.pm. 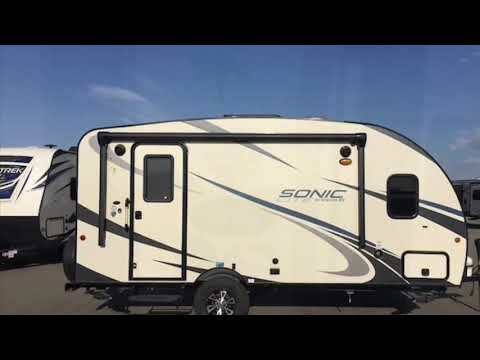 Sonic ultra-lightweight travel trailers offer a host of amenities, including an 82-inch ceiling height, slam latch baggage doors, a one-piece seamless fiberglass roof and dry weights ranging from 2,995 to 4,500 pounds. Sonic - more features; less weight!